It’s true! I have quite a collection of stoles. Let’s see…there are six knit, one crochet, and four woven. I do believe I am all wrapped up! Each one of these has a story to share…so many have memories of people who have been and continue to be important to me. 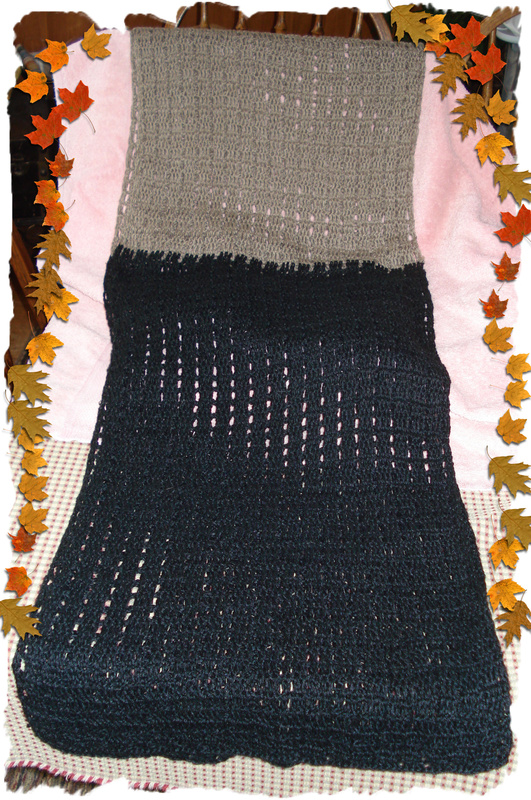 Black/Taupe Crochet Stole…..this was crocheted for me by one of Skein Lane’s customers. Carol is a prolific crocheter and this happens to be one of my favorite pieces that she has ever made. The yarn is Bamboo from Southwest Trading. I was recently “fussed” when I discovered that one of the threads had broken. I quickly dug into my memory bank of darning techniques that Auntie Kate taught me when I was a child. Success….only I know and now you. 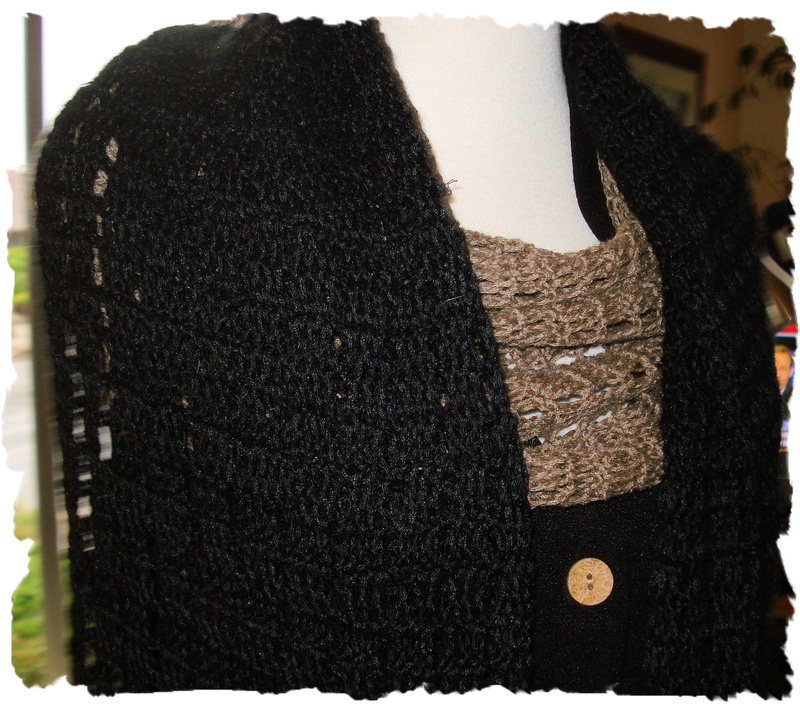 ..be sure to click on the photos for a close up of the pattern and fiber! 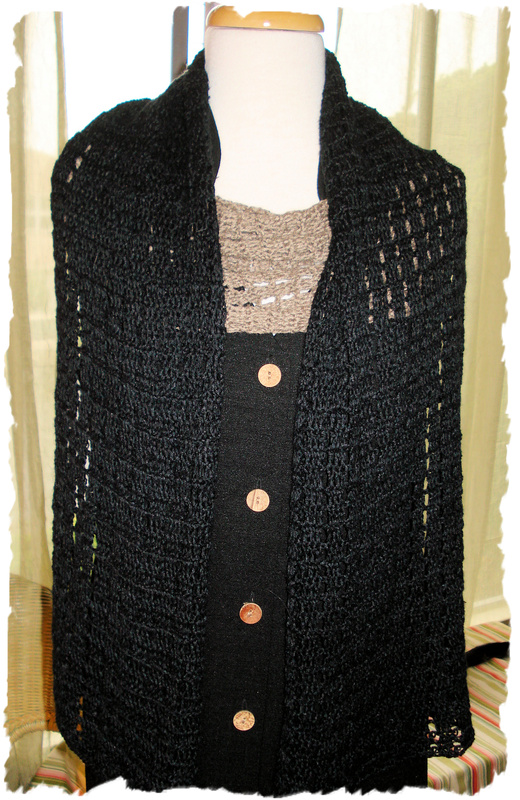 Crochet Stole – Taupe around Neck, Black on “tails”!